When you talk about visiting a country for only one day, the likelihood is that most people will think you are crazy or alternatively, they will suggest that you will see very little in such a short timeframe. However, when visiting some of the world’s smallest nations, this is when having less than 24 hours is perfectly fine to experience everything the country has to offer. 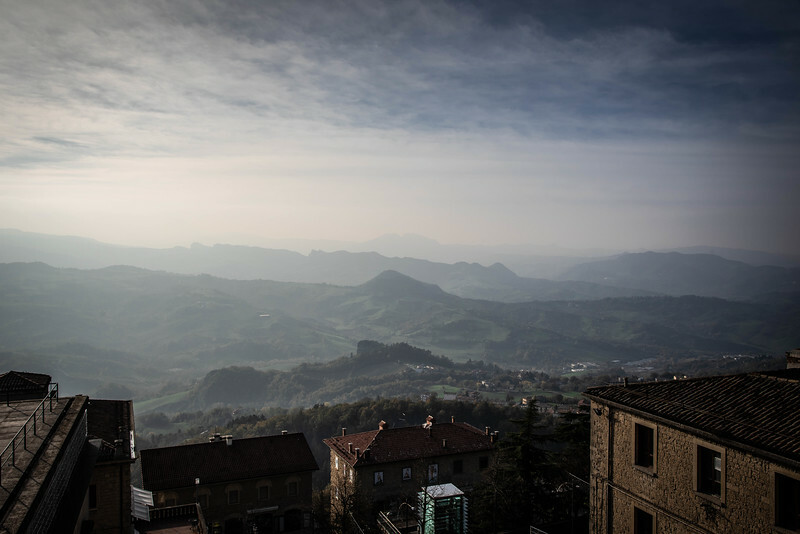 We recently took a day trip from Bologna to San Marino to see what this mountainous microstate had to offer. Whether you are an admirer of historic European architecture or perhaps you prefer the breathtaking natural landscapes of the rural countryside, a visit to San Marino offers an eclectic blend of both these environments. San Marino may be small but it certainly epitomizes everything there is to love about Northern Italy while offering a unique perspective that makes it a country on its own. Let’s take a look at how you can enjoy a day trip to this tiny nation and likely want to book a return trip in the not too distant future. Landlocked and surrounded by Italy, San Marino is a country (that’s right, a nation just like it’s Italian counterpart!) that oozes natural beauty, primarily because of its location on the northeastern side of the Apennine Mountains. 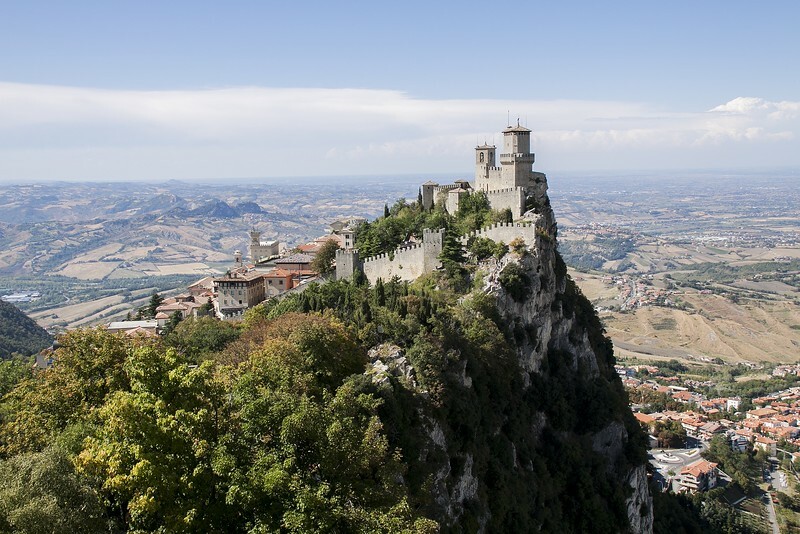 If you are staying in the nearby coastal city of Rimini, access to San Marino is easy as you can hop on the local bus and explore this beautiful country. But the beauty of San Marino is that you can access this nation from a variety of other Italian cities. 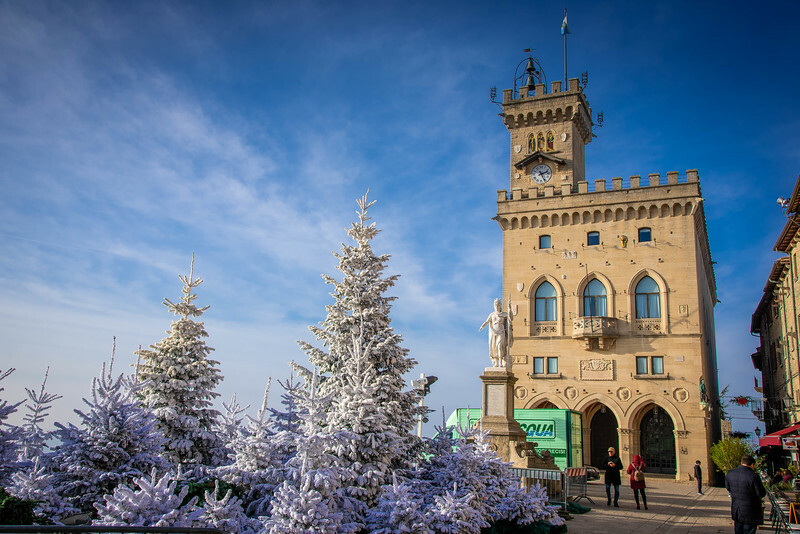 We stayed in the nearby city of Bologna and San Marino is only a short train journey and bus ride away. The topographical landscape of San Marino is such that the mountain range makes this a challenging hike to the summit. But once you reach the top…it’s definitely worth it! More on this later but when you are at the summit, the breathtaking panoramic landscapes overlooking the Adriatic Sea that is a mere 6 miles away is amazing along with the natural Italian surroundings. 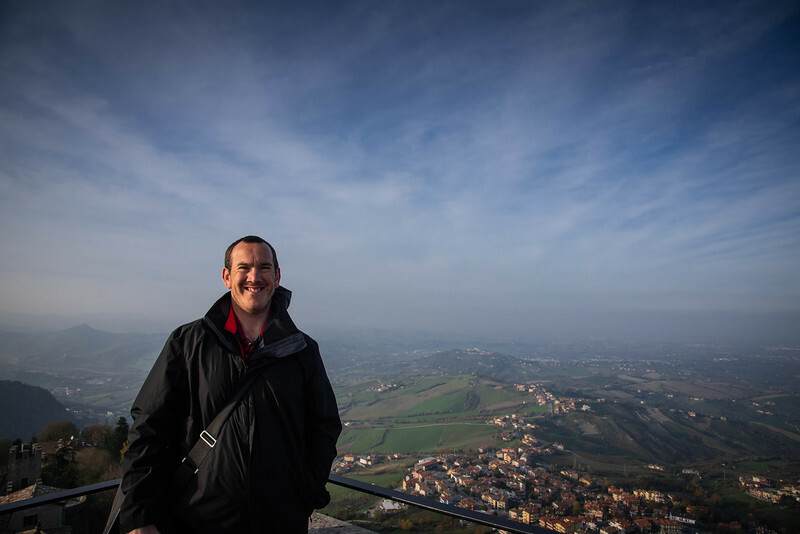 As I mentioned, we enjoyed a day trip to San Marino after experiencing an awesome 48 hours exploring Bologna in the heart of the Emilia-Romagna region of Italy. After experiencing the best things to do in Bologna, you could be forgiven for thinking that a day trip to San Marino would not be particularly intriguing. Please don’t let this stop you because it’s well worth the effort. The first step is to hop on the train from Bologna to Rimini. This should take less than one hour and there are several trains available. Whether you take an “express” or “local” train is entirely your preference but regardless of this, the route is simple and quick. 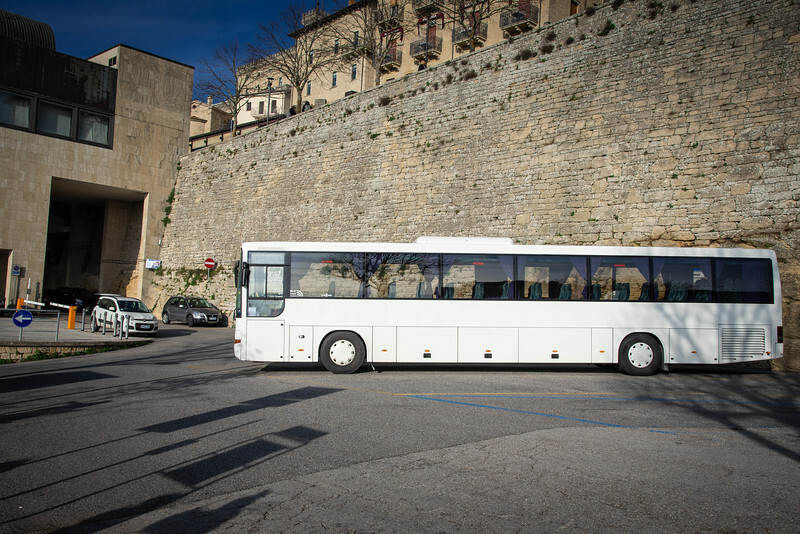 When you arrive at Rimini train station, you need to purchase tickets for the Bonelli Bus 72 that runs to San Marino. There is a pre-determined schedule of buses that run at regular intervals and for only 10 Euros, you can get a return ticket to explore this country. Tickets are available for purchase inside the local tourism office located inside the train station. This is also a great place to leave your luggage but be warned, if you are only planning a day trip, be prepared to return to Rimini before the office closes (for us it was around 6:00PM). 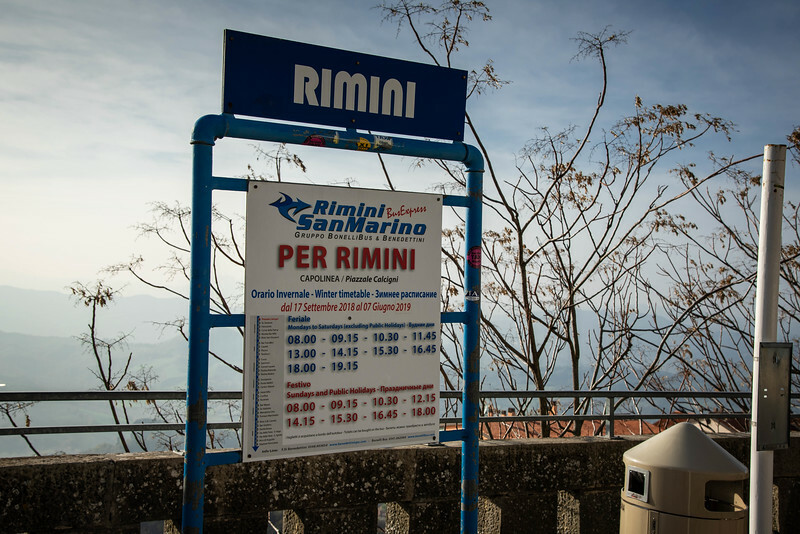 The journey from Rimini to San Marino takes around 45-50 minutes dependent on traffic. 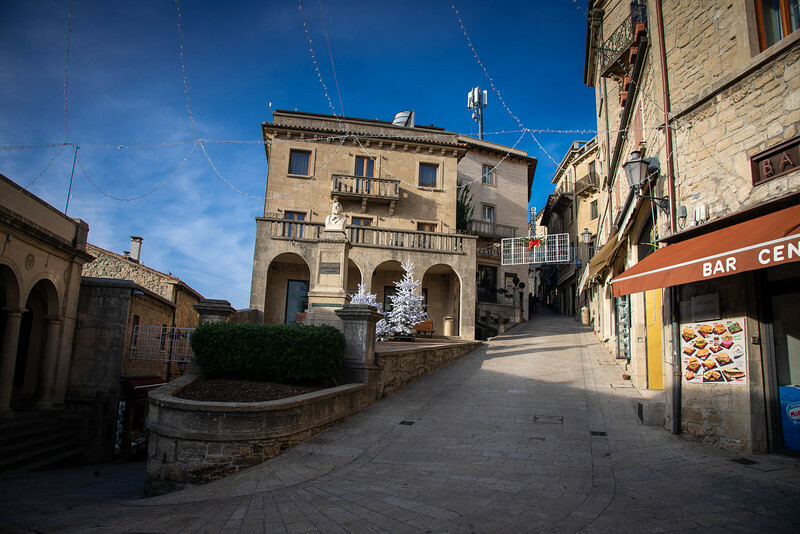 The picturesque route winds through San Marino with several stops along the way but it’s the final stop once you reach the summit where you will want to leave the bus before setting off on foot to explore the best things to do in the country. I want to start with a word of warning before getting into the best things to do in San Marino – be prepared for quite the hike! It’s a pretty steep climb to the very top of San Marino but trust me when I say, the view is well worth the effort. 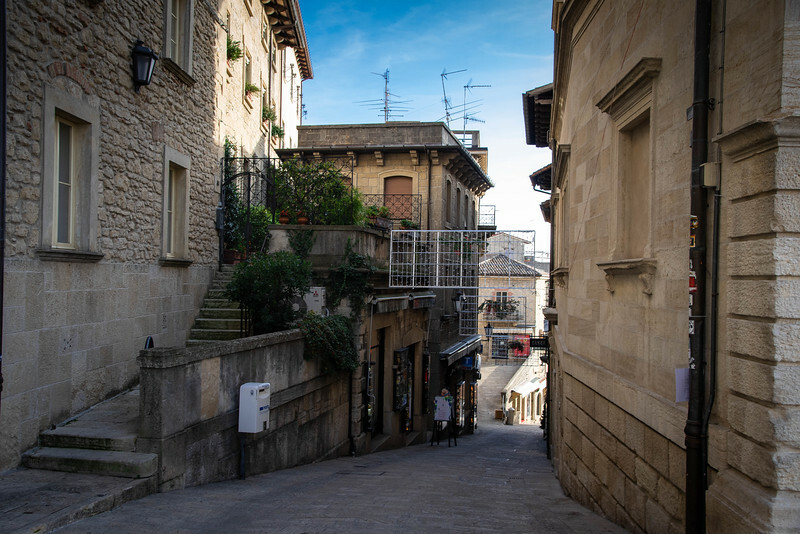 But the beauty of San Marino’s historic capital is (unsurprisingly the same name as the country, though technically the country is “Republic of San Marino”) that there are plenty of things to explore all the way to the very top. 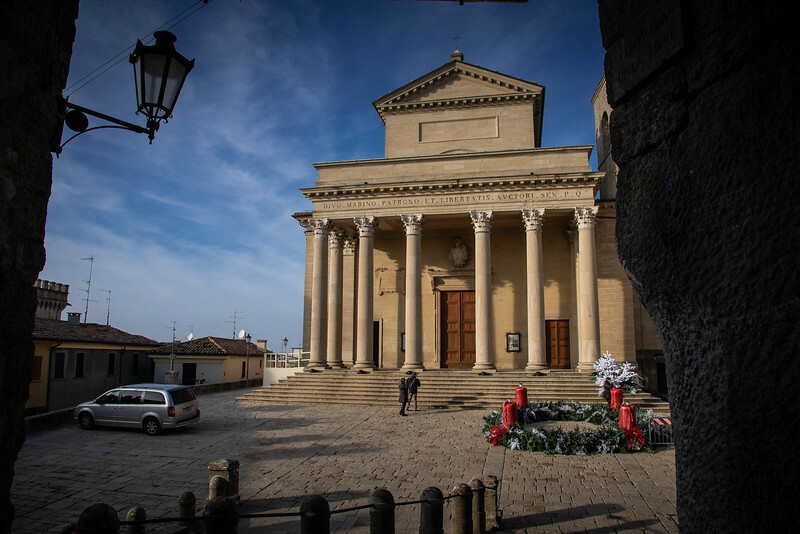 San Marino may be Europe’s smallest nation after Vatican City and Monaco but don’t let this fool you as there are plenty of things here to keep you occupied. 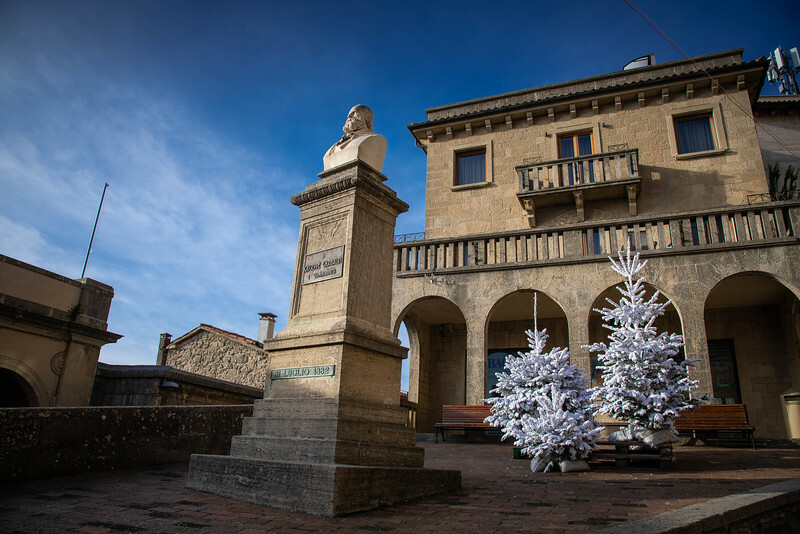 Let’s take a look at some of the best things to experience during your visit, all of which can be enjoyed in one day even if you don’t plan an overnight stay in San Marino. 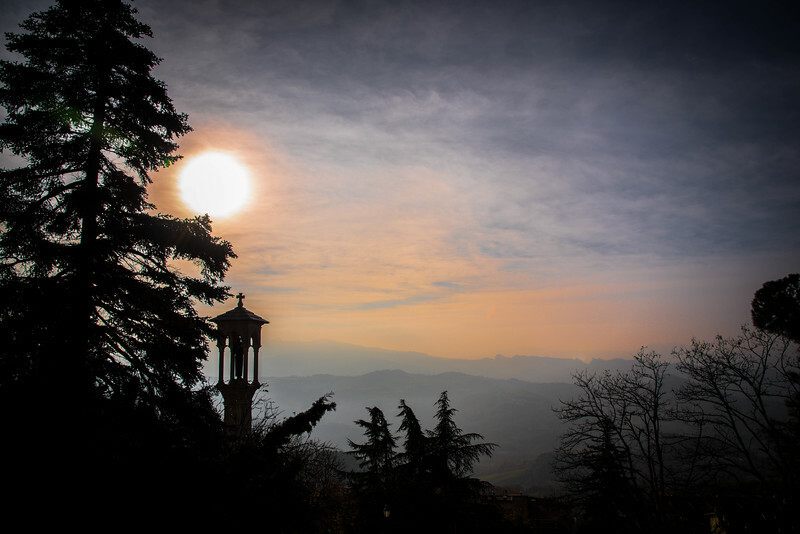 San Marino is home to three iconic towers known as the “pinnacles” of the country and so it’s no surprise that these are incredibly popular landmarks that are worth exploring. Guaita, Cesta and the Montale Tower stand proudly overlooking the San Marino nation and each one has a unique history that makes it worthwhile to visit. 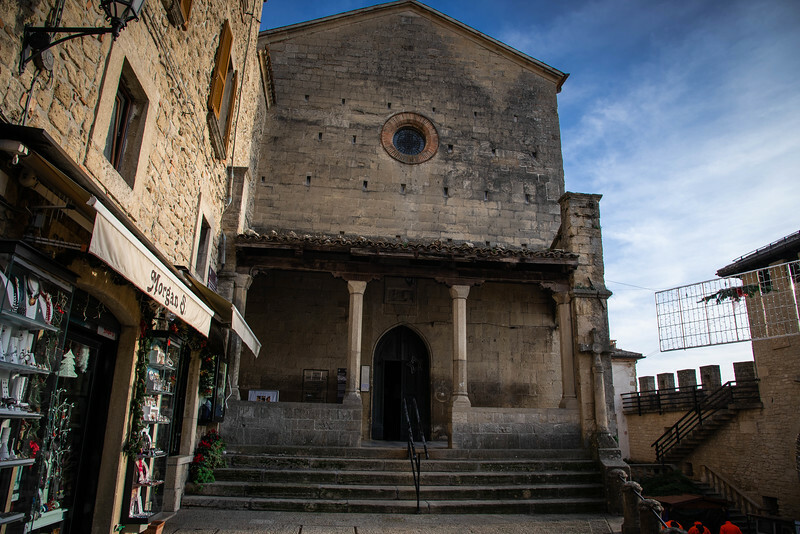 The “first tower” known as Rocca Guaita dates back to the 10th-century when it was first constructed, though it was rebuilt and renovated in the 15th-century. This was a popular spot among locals to find refuge during sieges but it was also used as a prison up until 1970! The “second tower”, located on the highest point of Mount Titano (standing at 756 meters high) is known as Cesta Castle. This is a newer tower, built in the 11th century but similar to the Rocca Guaita with a pentagonal floor plan. 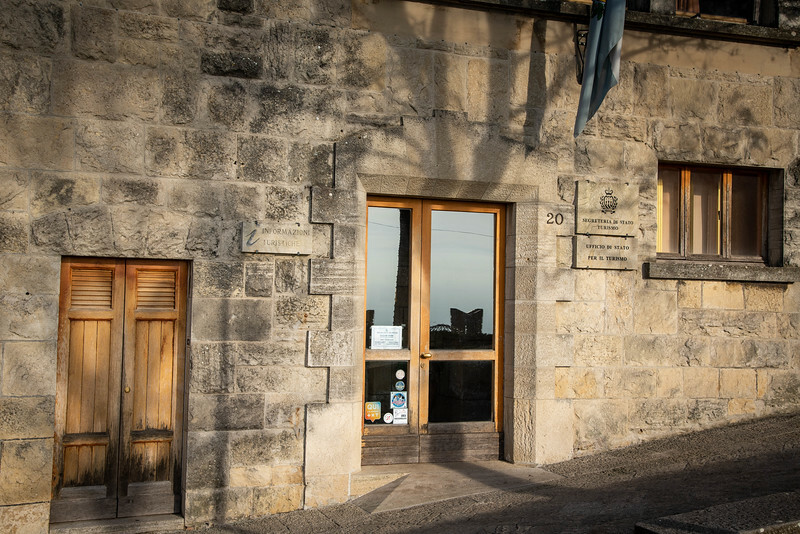 The historical use of this tower is much the same as the first tower but today, it houses the Museum of Archaic Arms, containing over 530 pieces that date back to various periods from the Middle Ages to the end of the 19th-century. Tickets are available at an affordable price (around 7 Euros) and give visitors access to both Rocca Guaita and Cesta Castle. The “third tower”, known as Montale, is the newest and smallest of the three structures. This tower was positioned strategically because despite its size, is perfectly situated as a lookout tower. This is the only one of the three towers that is not open to the public. 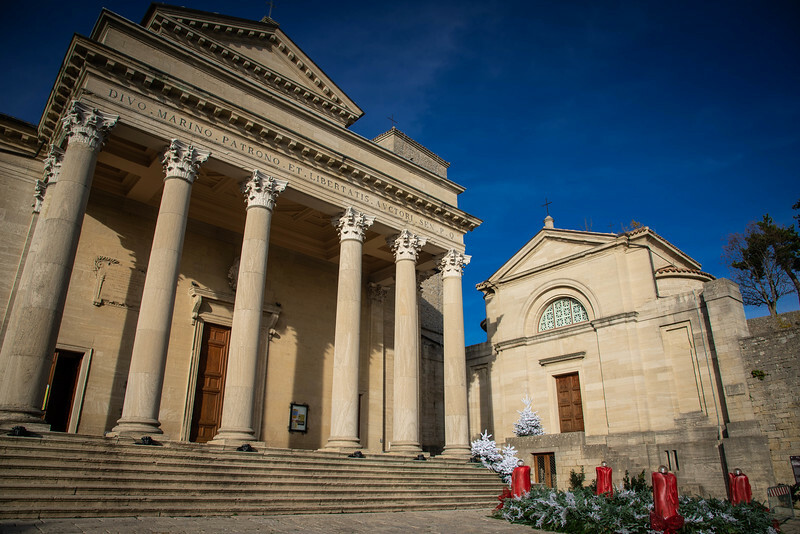 When it comes to gorgeous architecture, San Marino’s “basilica” is perhaps the most spectacular of all the structures scattered across this country. 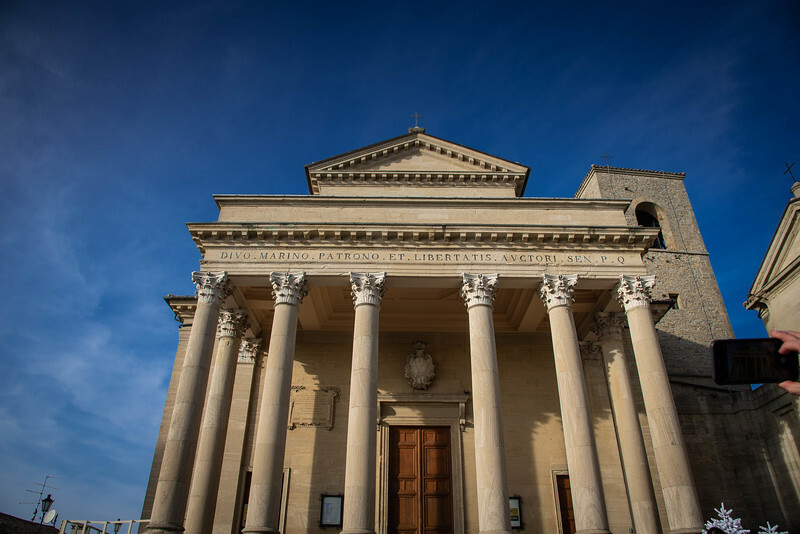 The Basilica di San Marino is a Catholic church that is relatively new given that the structure you see today was completed in 1836. However, this has been the site of a church since the 4th-century. The interior of the basilica is equally spectacular, the most noticeable aspect is the intricate details that can be seen on the three naves supported by sixteen Corinthian columns. But regardless of whether you choose to step inside this house of worship, you cannot help but admire the spectacular architectural masterpiece from the outside. This is the perfect spot to take a few minutes and relax after walking up through the medieval city. 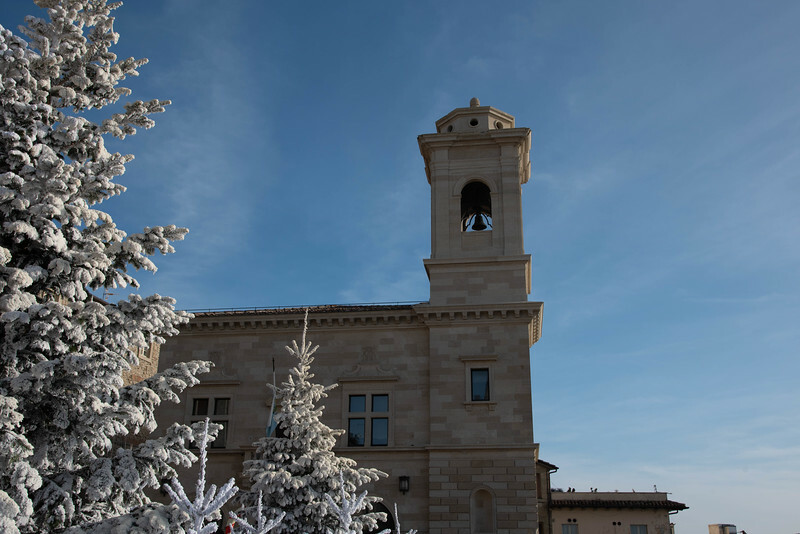 There is plenty to more to see and San Marino’s inherent beauty is just starting! The moment you step off the bus from Rimini in the heart of San Marino’s historic old city, you cannot help but fall in love with this place. 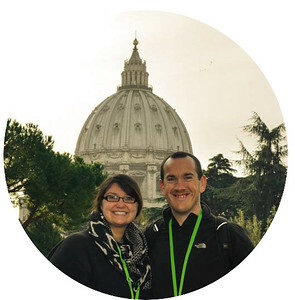 The winding streets are a challenging hike but the effort is definitely worthwhile. 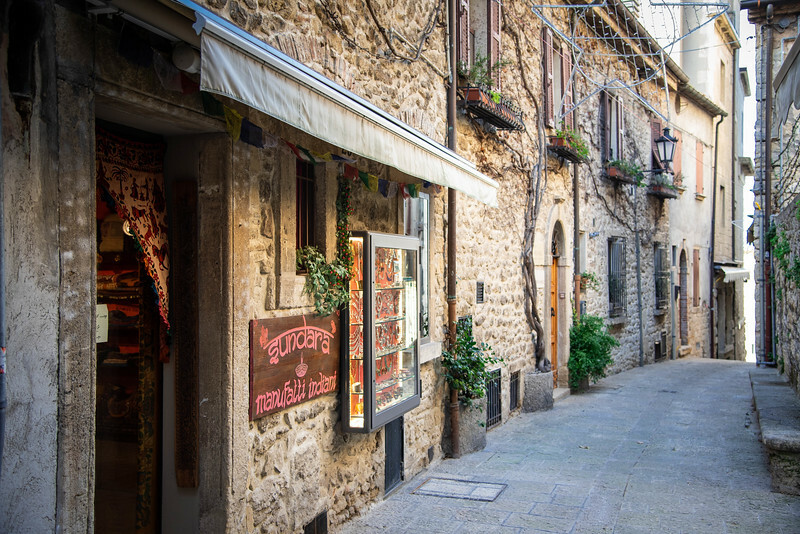 Take some time to admire the architecture scattered alongside the streets while occasionally popping inside the stores to be greeted by a friendly welcome, typical of the San Marino locals. 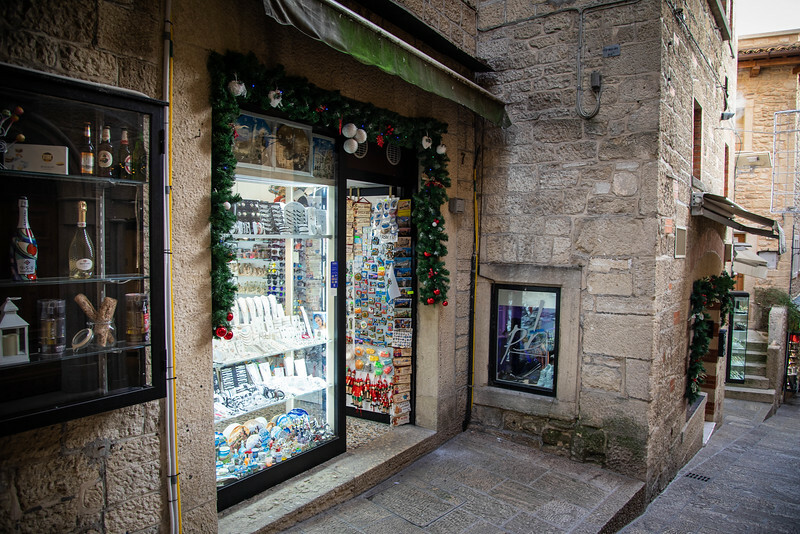 Whether you are an avid shopper or simply prefer to window shop, San Marino is a place you can find some real gems of souvenirs (or early birthday/Christmas gifts for loved ones in your family). 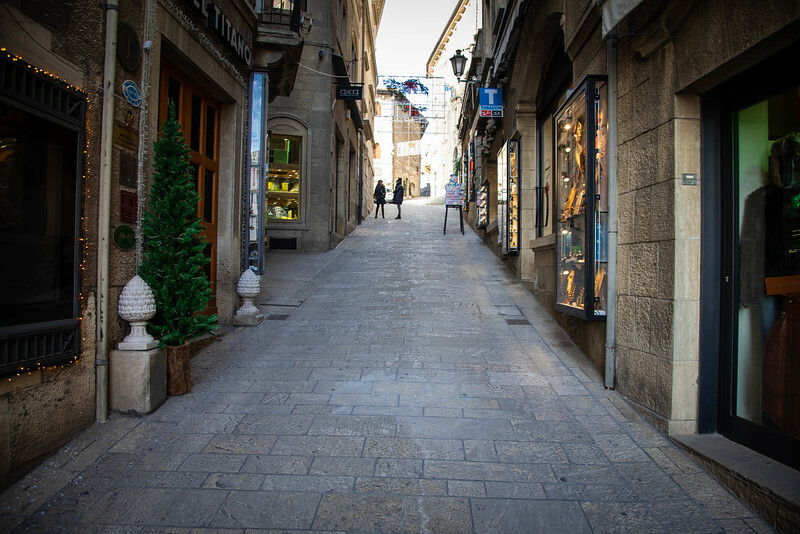 As you meander through the maze of medieval streets, this is the perfect opportunity to experience the local cuisine. Not only will you find authentic, Italian-inspired local cafes but a number of other options are available including a “London Pub” which will satisfy all of your British cuisine cravings! 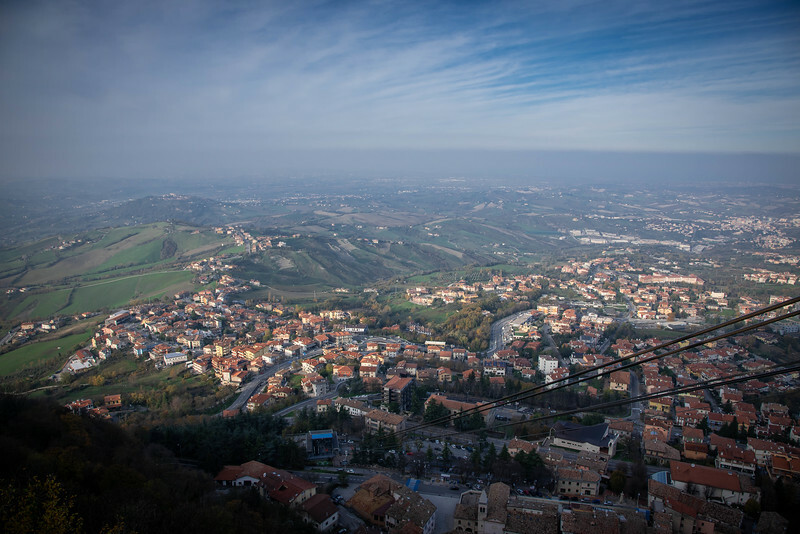 For those of you that want to connect between the historical old town with Borgo Maggiore located in the foothills, the San Marino funicular is a great way to travel between both locations. The two minute journey not only makes it easily accessible between both spots, it also offers spectacular panoramic scenes across the Adriatic Sea. 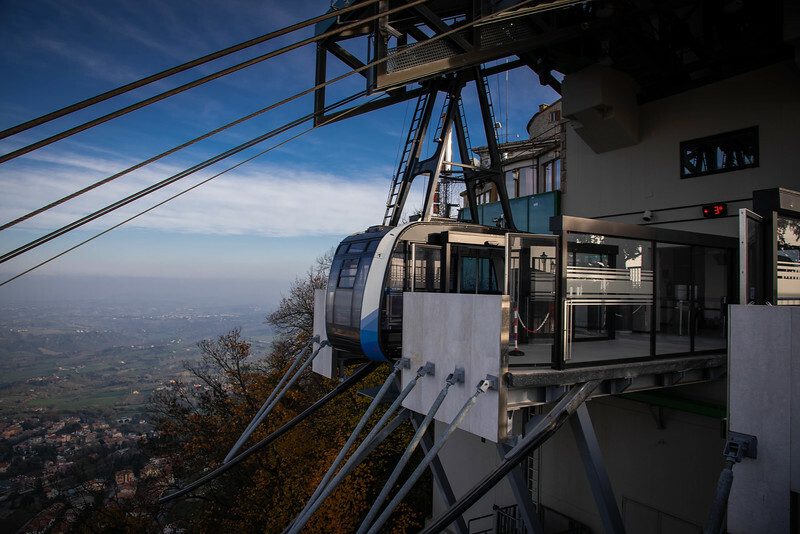 The Funivia di San Marino is an aerial cable car that dates back to 1959 when it was originally constructed. 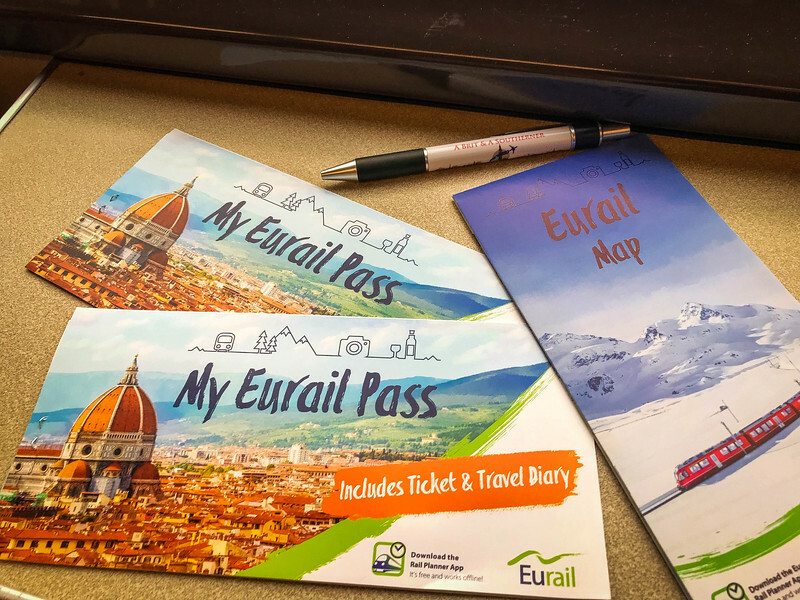 It has been modernized on a couple of occasions, most recently in 2017 and today, is undoubtedly the number one public transportation method for locals and visitors alike to connect between Borgo Maggiore and the historic city. Tickets are available as either one-way or return trips and for only 4.50 Euros, you can enjoy a leisurely return journey with this cable car. When you stand at the top by the upper station in the city of San Marino and peer over the edge of the mountain, it really puts into perspective the benefit of having this cable car. 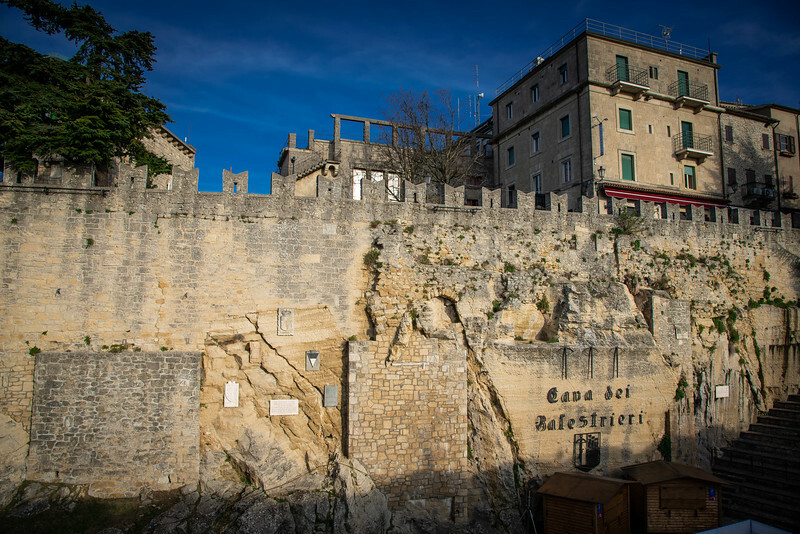 The Cava dei Balestrieri, or “Crossbowmen’s Quarry” is another unique and iconic landmark in San Marino. After heading inside the local tourism office to grab an official stamp inside your passport (costs 5 Euros but actually looks pretty awesome in comparison to the traditional passport stamps you receive at airports), head down to the “quarry” to enjoy this historic area. Today, this landmark is used for crossbow shooters to test their skills and is also home to a variety of medieval sporting event reenactments. 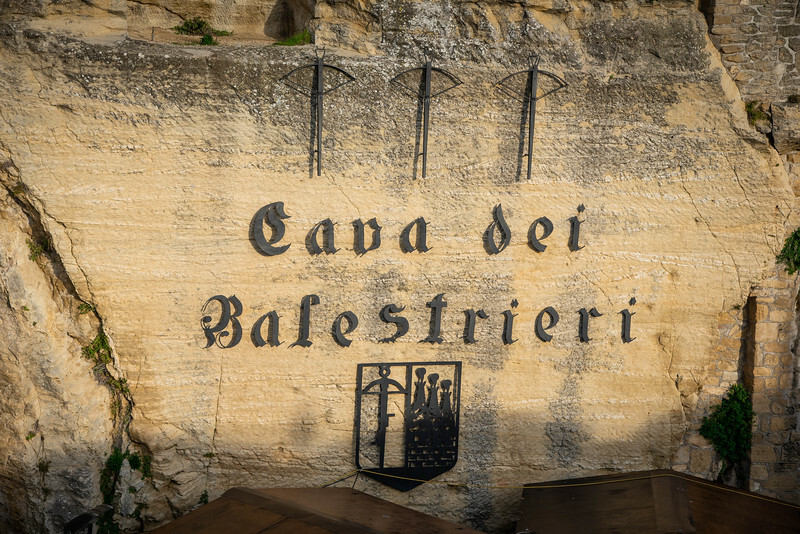 The quarry itself was artistically crafted out of the rock and is also home to the annual Crossbowmen’s Palio event that takes place every September as part of San Marino’s national holiday. 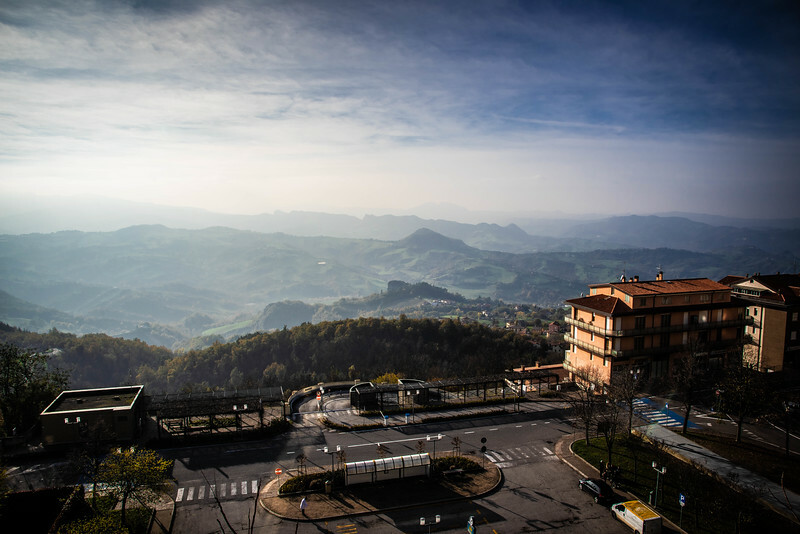 San Marino is a country that deserves to be on more people’s radar, particularly if you are visiting the Emilia-Romagna region of Italy. 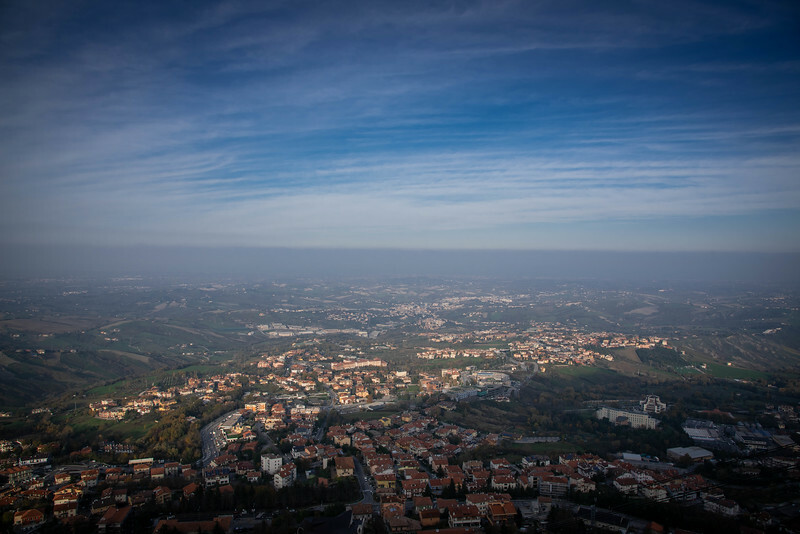 It’s definitely worth taking a day trip from Bologna or surrounding areas because in addition to the gorgeous architecture throughout the country, the panoramic landscapes across the region are breathtaking. If you visit many of the “microstate” countries in Europe such as Vatican City, Liechtenstein, Andorra or Monaco, it’s feasible that you may visit once and never go back. But although San Marino would fall into this category due to it’s size, I would argue this is a nation you would want to return to…I know we do!! I know San Marino is technically a country but like many of the other very small countries in Europe it doesn’t quite feel like one. Aww, I just visiting Bologna, but didn’t have time to take a day trip to San Marino. Too bad, by the looks of it, your photos look great. Better head back there! 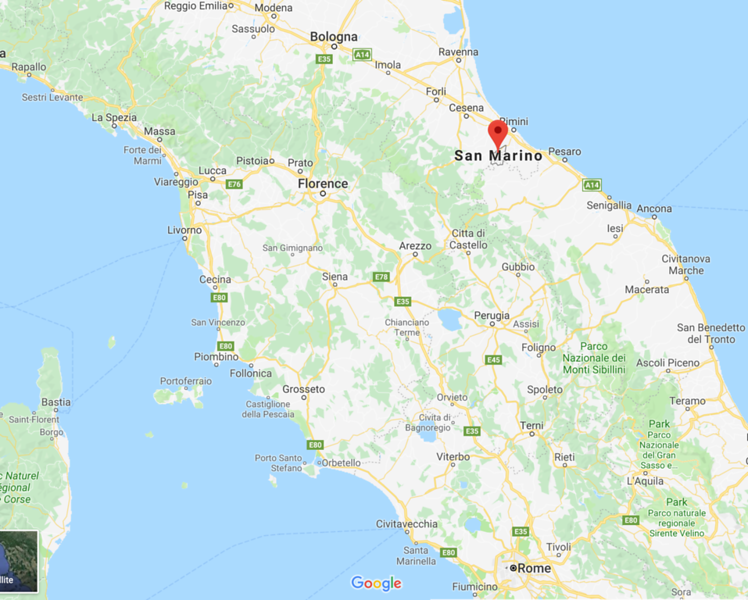 I honestly didn’t realize San Marino is a country surrounded by Italy. And one well worth visiting, I see! We are thinking of going back to Italy in 2020, so this will go on my list. We visited Luxembourg last year, which is a another small country that gets lost from itineraries but was full of beautiful countryside and historic architecture. I love exploring places like this that are not so well known. We keep talking about going back to Italy – after reading your post I’m thinking that we should add a trip to San Marino to our itinerary! I love your pics of the towers and the narrow streets. It sounds like it’s quite the workout to walk around on those steep hills, but the views you earned were well worth it! Have to admit, San Marino’s size is one of the things that put it on our Bucket List in the first place. On further investigation, it seemed absolutely charming, and your photos prove it! 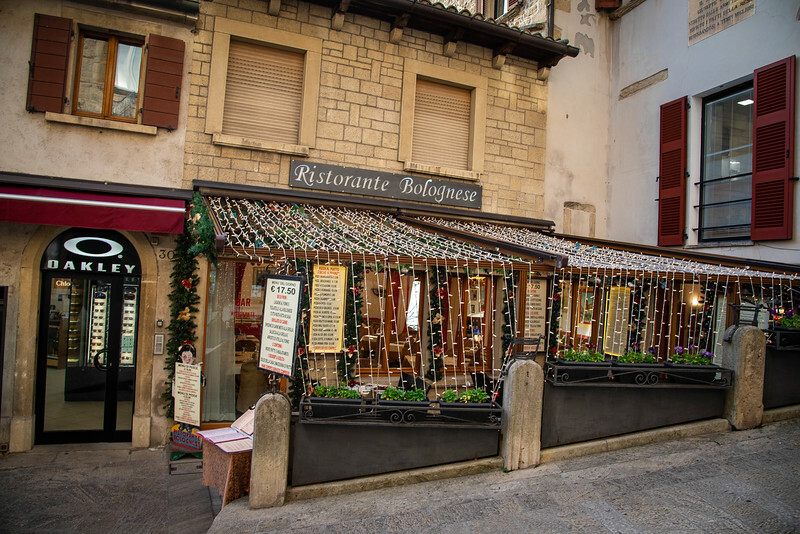 Can’t wait to visit the region again, and you can bet San Marino will be on the itinerary!